It was one of the most pivotal moments in Chicago's history -- and it all came down to 14.2 seconds. 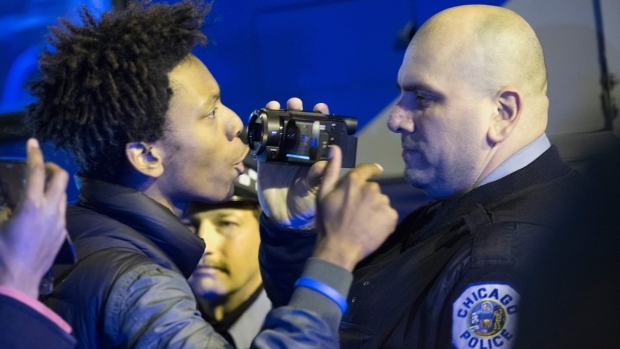 That's how long officials say it took Jason Van Dyke to fire 16 shots at 17-year-old Laquan McDonald. In total, the situation took 10 minutes to unfold. 9:47 p.m.: A CPD dispatcher radioed to the 8th District Beat 815R that a citizen was holding a male, later identified as McDonald, who the citizen caught breaking into trucks and stealing radios in a parking lot near 41st Street and Kildare Avenue. 9:53 p.m.: Beat 815R radioed that “the guy is walking away with a knife in his hand” and the dispatcher asked if any units had a Taser. Beat 822 immediately responded that they were on their way, but did not indicate if they had a Taser. 9:54 p.m.: Beat 815R radioed that the suspect was walking toward a Burger King. The dispatcher confirmed the location and reminded all units that the suspect was armed with a knife. The dispatcher then continued to ask if any units were close. 9:56 p.m.: Beat 815R radioed that the suspect has just popped the tire on their squad car. A few seconds later, Beat 845R, identified as Officer Jason Van Dyke’s vehicle, radioed that they were two blocks away from the scene. A few seconds after that, both Beats 821R and 841R responded that they were also on their way. ***WARNING: This video is graphic and may be disturbing to some viewers. Viewer discretion is advised. 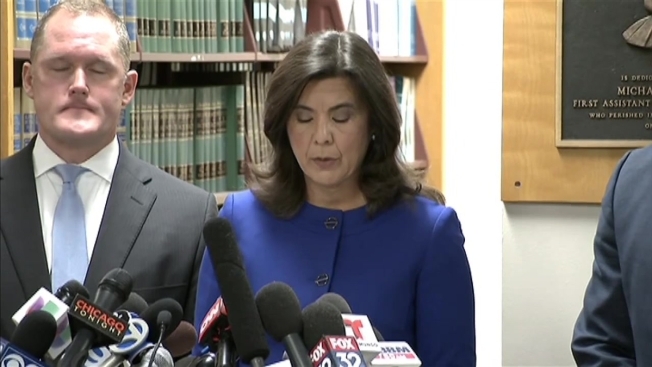 *** In the dash-cam video, which a judge ordered police to release by Nov. 25, Laquan McDonald first appears about 5 minutes, 16 seconds in, and is seen walking down a street. The teen, who police say was armed with a knife, walks diagonally across the street, away from police officers at the scene. 9:57:20: Dash-cam video from Beat 813R shows McDonald jogging south on Pulaski, passing a Burger King. 9:57:25: Recording shows two other marked CPD SUVs on the scene. Van Dyke’s vehicle is moving south at this time and pulls around to the south of Beat 822’s vehicle. At that time, McDonald, now walking, passes Beat 822 and waves his right arm. 9:57:30: Van Dyke’s partner parks the vehicle in the median strip and Van Dyke gets out of the passenger side with his gun drawn. 9:57:33: McDonald has walked passed Beat 822 and both Van Dyke and his partner now have their guns drawn. Another police vehicle has arrived just south of them. Van Dyke is standing just in front of his partner on the double yellow line of the median. McDonald is about one foot from the white lane divider in the southbound lane and his body appears to be moving slightly away from the officers toward the west side of Pulaski. 9:57:36: McDonald crosses over the white lane divider away from the officers and Van Dyke has taken one step toward him. McDonald’s arm then jerks and his body spins around and falls to the ground. The first shots are fired. While McDonald falls, Van Dyke takes at least one more step toward him and is no longer seen in the dash-cam video. 9:57:38: McDonald is lying in the street on his right side and two puffs of smoke are seen rising from the ground. These were later identified as clouds of debris caused by fired bullets. 9:57:51: McDonald is still lying in the street and the last visible shot is fired. 9:57:54: Van Dyke’s partner kicks an object out of McDonald’s hand.